We will now introduce you to one of NetEnt´s biggest and most renowned game. A game that is incredibly popular among players and offers something most of them return to again and again. This is a video slot that pays both ways and that is full of sparkling gems – and who doesn´t like that!? We are, of course, talking about Starburst! Here we will tell you about Starburst and its festivities! Sparkling jewels and gemstones in different colours, that is what this video slot offers. Gems have always been attractive to people, and in some parts of the world, they are seen as a commodity. Particularly in the old days, trading with these precious stones were very popular. This means they are seen as valuable – we hope they will be valuable for you in this video slot! The symbols you will see on the reels are different coloured gemstones, a BAR symbol and a lucky seven. These are the foundation stones in this game. The lower paying symbols are represented by the purple gemstone that rewards you with 25 coins for a 5x symbol combination, so does the blue one. The orange gemstone rewards you with 40 coins for a 5x symbol combination, the green one rewards you with 50 coins for a 5x symbol combination, and finally, the yellow one that rewards you with 60 coins for a 5x symbol combination. The higher paying symbols are represented by the lucky seven and the BAR symbol. The lucky seven can reward you with 120 coins for a 5x symbol combination and the BAR symbol can reward you with 250 coins for a 5x symbol combination. This symbol is also the best player in the game. Apart from these basic symbols, NetEnt also gave us one extra special symbol to keep an eye open for. That is the wild symbol, which is the octagon star that has one colour for each tip. We will get more into what this one can reward you with and how it works in a bit. This is a video slot that is very basic. It doesn´t offer too many extra features or animations. But it is, despite that, very popular among players across the globe. The background shows various colours of purple, together with sparkling, glowing stars that float around. We guess it is supposed to give an impression of that you are in a galaxy far away in space. The reel set is see-through and placed in front of this. The graphics and the design is well made, and the colours fit in perfectly. The purple backdrop lifts the gemstones and its colours in an amazing way that is very comfortable for the eyes. The music isn´t something to be amazed by, but not yet disturbing. But, you do have the opportunity to turn it off and choose your own music if you do wish to. Starburst is a 5 reel, 3 rows video slot that can be played over 10 paylines. The minimum bet is as low as € 0.01, and the maximum bet is € 100. This depends on how many paylines you activate, and on the coin value and the level you choose. 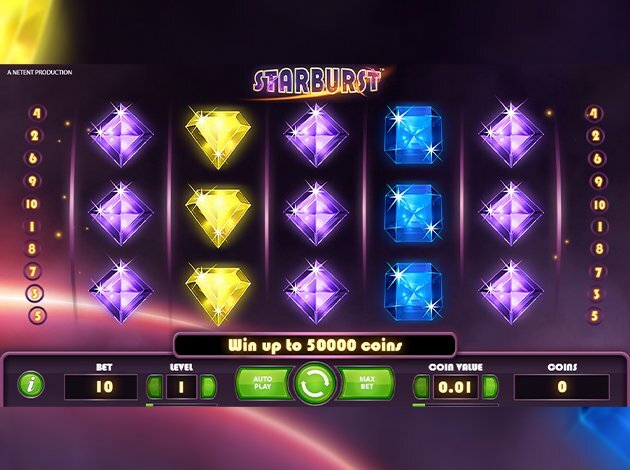 Starburst is, as we mentioned, a very basic video slot, therefore it doesn´t offer many special features. And due to that, it doesn´t offer any bonus game. However, if you want to play a game that offers a bonus game you should check out Arcader from Thunderkick, that reminds a bit of this game – a basic video slot. This video slot, unfortunately, doesn’t offer any free spins feature. But, you will find a lot of different slots on VIdeoslots.com that offer a free spins game, so just check after another favourite in our game library. Starburst offers a wild symbol. That is the octagon star that has different colours on every tip. This symbol steps in and replaces all other symbols on the reels, this on reel 2, 3 and 4. It will expand and fill the whole reel and reward you with a re-spin. Max amount of re-spins is 3. Starburst video slot offers a feature that is called Win both Ways. That means that wins have counted both ways – left to right, and right to left. This, of course, makes your chances to land on a winning combination, bigger than ever, and who doesn´t like that!? NetEnt is a leading provider of online casino games that are offered by many of the world's most successful online casino operators. The NetEnt Casino Module ™ is a leading gaming system that includes high-quality online casino games, powerful bonus features, and a sophisticated Back Office. 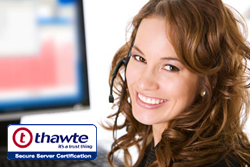 The company was founded in 1996 by one of Scandinavia's leading off-line casino operators. NetEnt was one of the pioneers of online gambling. Their origin from the actual casino operations is one of the reasons behind the company's success. Thanks to their focus and strategy NetEnt stands in a class by itself. Another contributing factor to the success of NetEnt's game is the high entertainment value that they deliver through rich graphics and exciting bonus games, fun animations, and innovative features. Some of NetEnt's previous games is Fairytale Legends Red Riding Hood, Jack and the Beanstalk, Secret of the Stones, Twin Spin, Blood Suckers, Dead or Alive. Do not forget about the world´s very first social online casino experience – Battle of Slots – exclusively at Videoslots.com. You can play a battle with your friends or fellow players, and you can play on all our video slots and slots from NetEnt, Thunderkick, and Play´n GO! We wish you the best of luck in the most thrilling battle online! If you haven´t tried this popular video slot yet, we recommend you to give it a go. It can't be for anything that so many players return to this gem time after time. We, at Videoslots.com, wish you the best of luck and hope you catch the big wins!